TMC Recruitment 2019 - Apply Online for 98 Scientific Officer C, Engineer & Other Posts in TMC, Uttar Pradesh on Contract Basis. 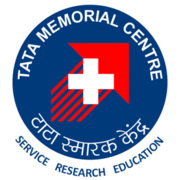 Online Applications are invited by Tata Memorial Centre from 05 Feb 2019 to 22 Feb 2019 till 05:30 PM for 98 vacancies. On the basis of Written examination/ Interview/ Skill test. Eligible candidates may apply online at TMC's website (direct link is given below) from 05 Feb 2019 to 22 Feb 2019 till 05:30 PM. Candidates log on to https://tmc.gov.in/. Go to "Events" & Select the desired post. Read the information carefully & Click on "Online Application Form". After applying online applicants need to send the hard copy/print out of online application form along with regarding date of birth, qualifications, experience, caste, disability certificate etc. to 3rd Floor, Service Block building, H.R.D. Department, Tata Memorial Hospital, Parel, Mumbai – 400 012. The application with all relevant documents should reach on or before 28 Feb 2019.